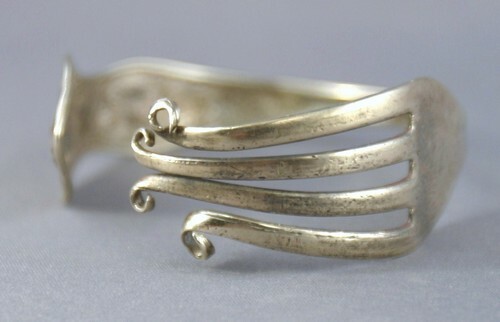 Silverplate fork bracelet, International Silver / R.C.Co., Rose pattern. Circa 1905. Internal measurements about 2 3/4 inches by 2 1/4 inches. Fits small to medium wrist. Very good condition for age and use. Some wear to silver and some tarnish.